Akin Tuna got his first live tournament win, taking down the €10,300 No-Limit Hold'em event that kicked off the first day of 2018 PokerStars European Poker Tour Prague. 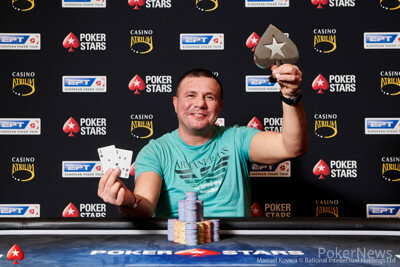 He won €125,330 for topping the modest field of 38 entries that turned out. Previously, Tuna had a hefty $725,000 in cashes but had narrowly missed two chances at trophies as he finished second in two tournaments, including a previous EPT €10K: the 2012 EPT Dublin €10,300 High Roller. Then, he was bested by Sam Panzica. This time, Tuna also had some strong competition. However, he prevailed over a final table that included Daniel Dvoress and Davidi Kitai after bagging the chip lead following each of the first two days of the event. It didn't take long for action to heat up on the final day of the event. No sooner had the very first hands been dealt than Orpen Kisacikoglu got his last 15 big blinds in with pocket fives. Unfortunately for him, Ognyan Dimov held tens and busted him in fifth. High roller regular Dvoress then found himself with top pair in a three-bet pot, except his king-queen was crushed by Tuna's ace-queen. Tuna bet-called a shove and busted possibly his most dangerous opponent to take control of about 60 percent of the chips going three-handed against Dimov and Kitai. Dimov was twice the shortest of the three but doubled through each opponent, winning a flip against Kitai and holding with top pair against Tuna's overcard and flush draw. Tuna then got Kitai to pay off with what the Belgian bracelet winner said was queens up against a rivered straight, and Kitai lost the rest of his crumbs in short order. Dimov would find a double heads up and nearly even up stacks, but Tuna proved too much. In the decisive hand, Tuna flopped top set when he three-bet and turned quads against Dimov's flopped straight. 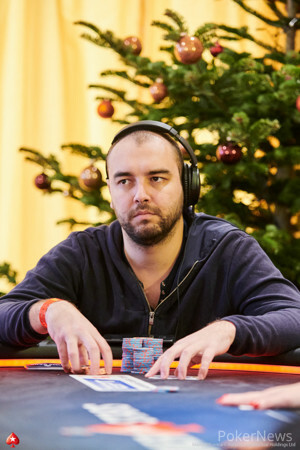 Three to a flush kept the pot a bit smaller than it could have been, but Dimov was left with only a few big blinds afterward and conceded defeat on the next hand. He and his small rail congratulated Tuna warmly on the win. 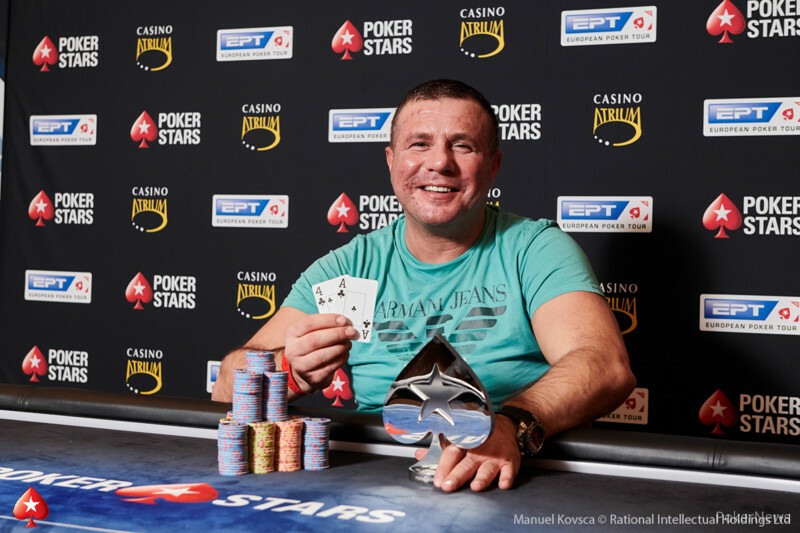 While the first covered event of EPT Prague is in the books, plenty more action remains. The $1,100 EPT National is soaring with over 1,000 entries on the Day 1b flight alone, and other big tournaments still remain. Stay tuned to PokerNews for continued coverage of buy-ins big and small here in the Czech capital. Ognyan Dimov limped in and called a raise to 61,000. Akin Tuna slowed down with a check on and Dimov bet 85,000. Tuna called and they both checked the turn. On the river, Tuna tanked long enough to use an extension then bet 245,000. Dimov immediately called. Tuna rolled over for quads and Dimov smiled and flashed for a flopped straight. 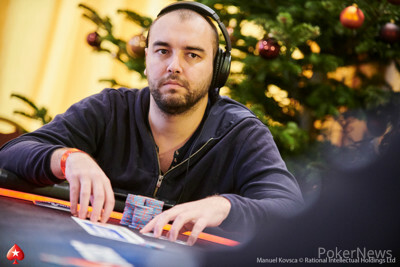 Left with just 35,000 or so, Dimov got them in the next hand with against . He turned a straight on but the river gave Tuna the winning flush. "Good game," Dimov said as he embraced his opponent. "Nice playing with you." Ognyan Dimov managed a double jamming into and flopping a six, and he's won a handful of small pots as well to crawl back past 300,000. Ognyan Dimov opened button and called a three-bet to 87,000 by Akin Tuna. Tuna bet 110,000 on the flop then 155,000 on the turn. Dimov continued and the hit on the river. Tuna bet 155,000 and Dimov tanked long enough to use a time extension before flicking in a call. Tuna showed and took nearly all of Dimov's chips, leaving him with just 120,000. Akin Tuna check-called 40,000 on and 110,000 more from Ognyan Dimov on the turn. Both checked the river and Tuna's prevailed. The next hand, Tuna raised to 26,000 and called a three-bet to 100,000. After flopped, Dimov bet 75,000. Tuna slid in 225,000. Dimov leaned back in this chair and thought about 15 seconds then flicked in his cards. Ognyan Dimov bet 110,000 into about 240,000 with on the felt. Akin Tuna called on the button and the river was a . Dimov shoved for 241,000 and Tuna considered only briefly before calling. Dimov tossed in for sixes full and Tuna mucked his with a nod. Ognyan Dimov made it 27,000 on the button and then four-bet shoved when Akin Tuna three-bet from the big blind to around 100,000. Tuna called with but was dominated by . The board ran out and Tuna sent over a double worth about 300,000.